222 pages | 2 B/W Illus. From the 1970s to the 1990s, China implemented a wide array of industrial policies to build up indigenous big business groups in their attempts to ‘catch-up’ with the industries of the developed world. With its entry into the WTO, China is under huge pressure to pursue the market-friendly policies advocated by the advanced economies. This is the first book in English that applies the theories of big business, catch-up and state intervention to the Chinese brewing industry. Having gathered first-hand research in China, Yuantao Guo analyzes the relationship between big business, competition and state intervention in the context of developing economies, demonstrating the implications of the industrial concentration and value chain integration of the global big business revolution for catch-up by developing world industries, considering to what extent state intervention can allow them to meet the competitive challenge. 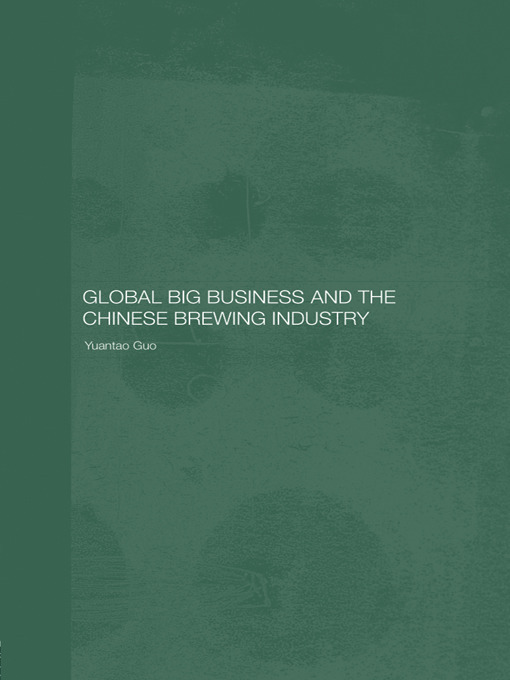 Examining these themes in relation to the Chinese brewing industry, Yuantao Guo uses detailed case studies of the Yanjing and Tsingtao breweries in order to detail the struggles that Chinese brewers have faced. This book makes a significant contribution to modern day discussions on globalization. Yuantao Guo received a PhD from Judge Business School, Cambridge University, UK. She received her MPhil in Development Studies from the Land Economy Faculty at Cambridge, an MA in Economics from Peking University, Beijing, China, and a BA in Economics from Nankai University, Tianjin, China. She has also worked as an Equity Analyst for Goldman Sachs (based in Singapore) and J & A Securities Ltd (based in China). Her research interests include business economics, development studies, industrial policy, globalisation, and the beverage and consumer industries.